1. Will Power, Courage, Self-Efforts. 2. Business, Marketing, Communication Skills. 3. Younger Siblings, Close Neighbours. 4. Short distance travels, like going from home to market or home to office or to a nearby city. 5. Hands, Chest area of human body. For someone who wants to run his own business, this house becomes very important as it is house of Business, Marketing, Will Power (ability to take risk in business). Courage and Self Efforts. 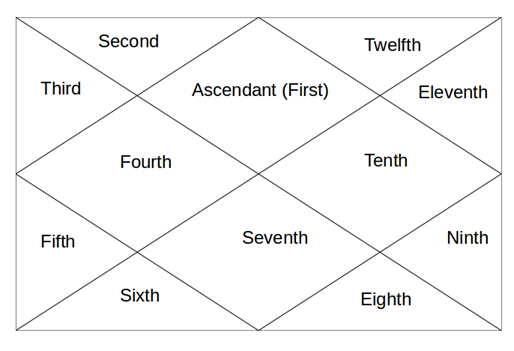 Karaka of third house is Mars & Mercury. @ ishwar - everyhouse is result of its earlier house. 2nd house is wealth, so wat u will do after having wealth is expenditure. but 3rd house represents expenses in nature of investments.